In just a few more weeks, WPA will celebrate its 40-year anniversary by moving to their new exhibition and administrative space in The JBG Companies' Atlantic Plumbing Project. 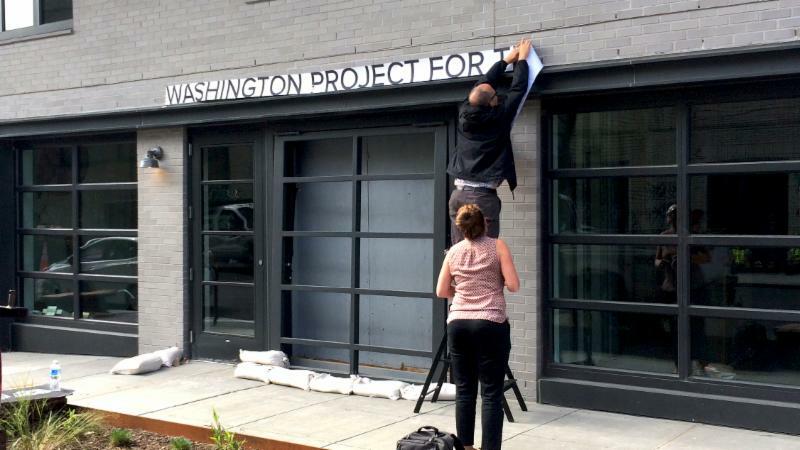 Their new home is certain to change the face of contemporary art in DC, and will be located at 2124 8th Street NW, just one block from the U Street cultural corridor. 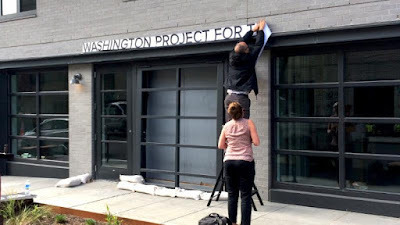 Join in celebrating their new home at the inaugural exhibition, Washington Produced Artists. Curated by Laura Roulet, the exhibition will serve as a proud recognition of local artists who created significant works in conjunction with WPA early in their careers and who have since built esteemed reputations. Washington Produced Artists will feature work by longtime D.C. metro-area resident artists William Christenberry, Jim Sanborn, Joyce J. Scott and Dan Steinhilber, with a mobile public art project created by Workingman Collective, a video installation by Michelle Lisa Herman, and an opening night performance by Maida Withers Dance Construction Company. Washington Produced Artists will be on display from November 14 - December 19, 2015 with an Opening Reception on Saturday, November 14, 2015 from 6-9pm. For more information please visit the website and follow on Facebook, and Twitter to stay up-to-date with news and announcements. 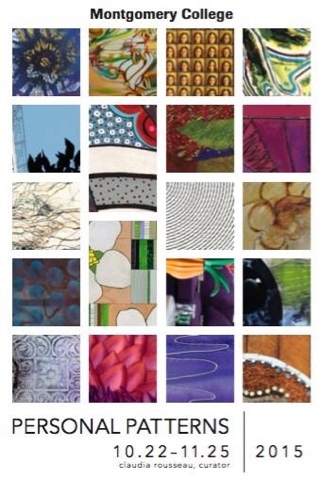 Personal Patterns @ King Street Gallery, Reception: Thursday, October 22, 6–8 p.m. Opening Reception: Thursday, October 22, 6 - 8 p.m.
Nineteen local artists exhibit work in media as diverse as glass, photography, mixed-media sculpture, and acrylic painting. Personal Patterns shows how artists use abstract pattern in work about activism, ethnic identity, psychology, and more. According to curator Claudia Rousseau, Personal Patterns engages “how an artist’s use of pattern might reveal something about his/her sense of identity, express cultural traditions, ethnic or racial origins, and family ties.” Personal Patterns brings together 19 artists who work in media as diverse as glass, photography, mixed-media sculpture, monotype, and acrylic painting. Their work is linked not by medium, but through their adoption of pattern in a personally distinct way. Personal Patterns includes work by local artists Sondra Arkin, Michele Banks, Jessica Beels, Joan Belmar, Shanthi Chandrasekar, Alonzo Davis, Helen Frederick, Susan Goldman, Amber Robles-Gordon, Pat Goslee, Elyse Harrison, Sean Hennessey, Ellen Hill, Matt Hollis, Bridget Sue Lambert, Carien Quigora, Jessica Van Brakle, Ellyn Weiss, and Helen Zughaib. 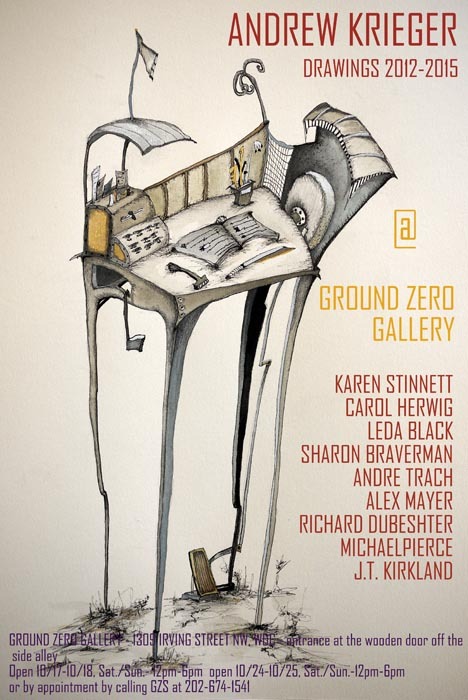 This discussion focuses on the work in Personal Patterns at the King Street Gallery. Participating artists will discuss the meaning embedded in pattern: how it might reveal emotions, politics, a sense of identity, or origins. The panel, moderated by curator Claudia Rousseau, features exhibiting artists Joan Belmar, Helen Frederick, Susan Goldman, Amber Robles-Gordon, and Jessica Beels. The discussion will be held in the Cafritz Foundation Arts Center, room 101. Regular Gallery Hours: Monday - Friday, 8 a.m. - 4 p.m.; Saturday, 10 a.m. - 4 p.m.
Last chance to catch Robin Rose's Scriptronics Event Demo is on Wednesday, October 21, 7-9pm in the Emerson Gallery at McLean Project for the Arts! See, and hear, the awesome compilation of Rose's pioneering work. RSVP at events @ mpaart.org or call 703.790.1953 to reserve your spot for a truly sensory evening! 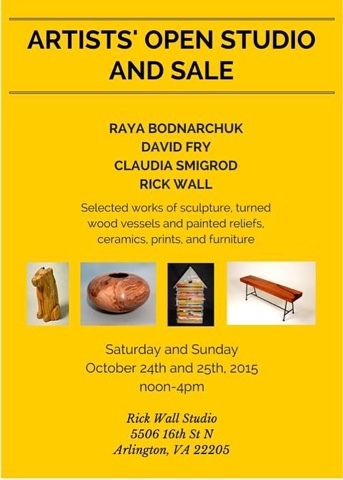 MPA's current exhibition, featuring Barbara Januszkiewicz, John M. Adams, and Robin Rose, will close on October 24. Make sure you stop by to view these three shows before they come down! Check out this Washington Post article By Mark Jenkins about MPA galleries! OCTOBER 30TH in downtown WASHINGTON DC. artists for the presentation of their work. MARIE THALHAMMER, ROZEAL BROWN, ANIEKAN UDOFIA, CITA SADELI CHELOVE. a great way to educate the public about local artists living and working in their community. the art, music and celebration. BLAGDEN ALLEY NEIGHBORS that supply the canvas for some of DCs finest artists. LAST CALL FOR ARTISTS AND PERFORMERS!